David Opati defeated Edwin Mudanyi with three shots ahead of the fourth and final round of Safari Tour golf series on par 72 Limuru Golf Club to take the lead. The Windsor golfer today defeated round two leader Greg Snow from Muthaiga when he fired his way to the top of the leaderboard ahead of the Kenya Open Golf tournament. 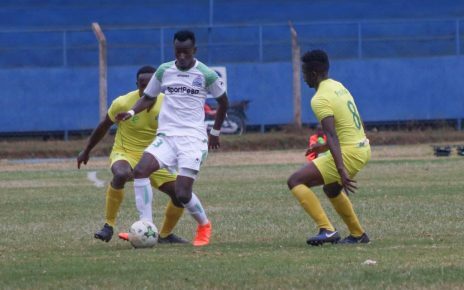 Opati fired three under par 69 for a three rounds total of eight under par 208 gross, to take a three shots lead from two amateurs Edwin Mudanyi of Vet Lab and Kiambu’s Michael Karanga. Opati dropped the only shot of the day at the first hole, before picking up birdies on the third, sixth and ninth and at the back nine’s 14th hole. Snow threw away his lead and possible the top prize after posting seven over par 79 to drop to fourth place on four under par 212 having led with 11 under par in day two. He starts Wednesday’s round four shots behind the leader Opati. Though it is still possible for Snow to recover those four shots, it will all depend on how Opati plays in the final round. 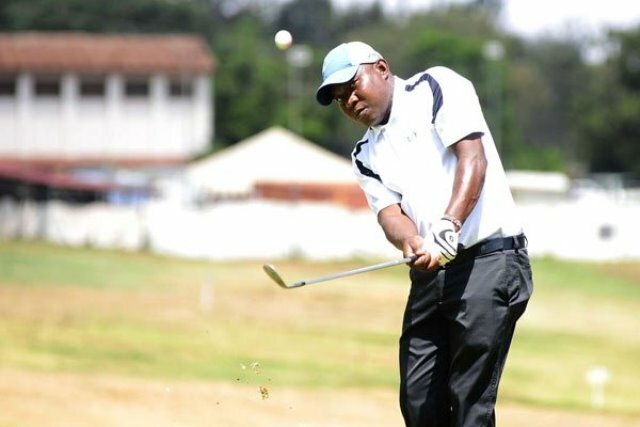 The two amateurs Mudanyi and Karanga meanwhile fired five under 67 and three under 69 respectively, to tie for the second place on five under par total of 211 and a chance to upset the pros in the Sh1 million event where only 20 pros and five amateurs made the second round 152 cut. Mudanyi birdied the second, fourth, seventh, 10th, 15th, 17th and 18th with only two bogeys at the third and eighth while Karanga made his birdies on the second, third, 12th, 14th and 18th having dropped shots at the eighth, 11th and 15th for his 69. The amateurs also include the 13 year old Taimur Malik of Windsor who was cruising well until he picked up a number of bogeys in Tuesday’s round for 82, to drop from 10th to 22nd place with a total of 228 gross. It is encouraging though seeing him beat 18 pros and two other amateurs in the cut.